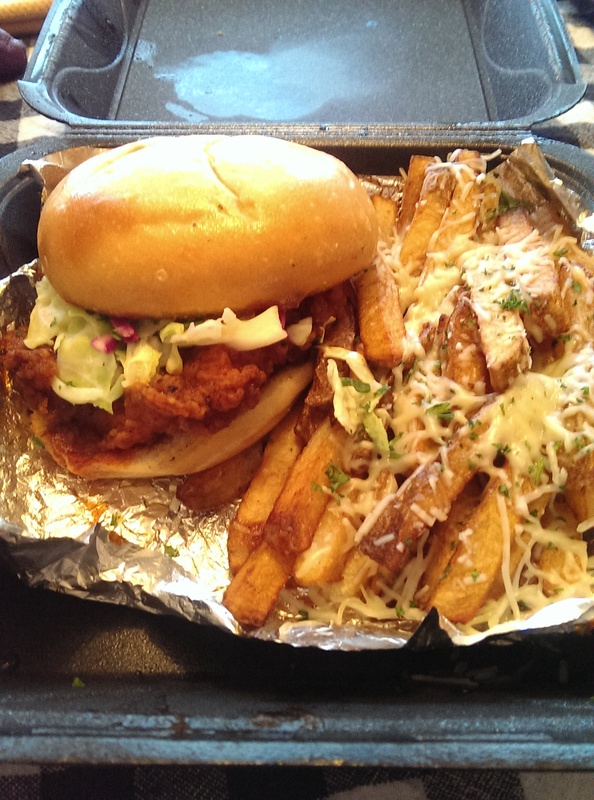 I have a new favorite sandwich, and it comes from Black Box Fix. It’s called the OMG Philly, and OMG is it good! People were sad when Sweetie Fry closed last year, but Chef Eric Rogers has opened Black Box Fix and it no longer hurts. 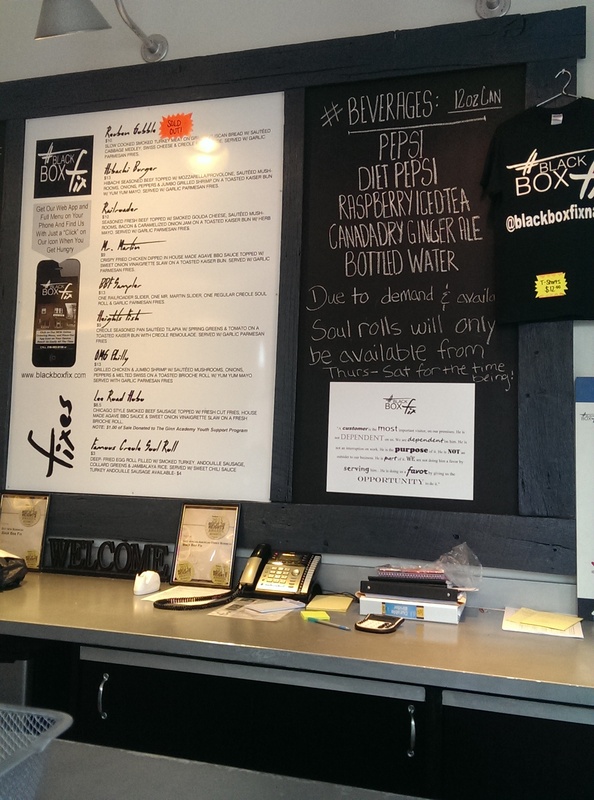 The 1,200-square-foot restaurant opened this past March and serves gourmet sandwiches, soups and dishes with a Creole and Cajun flair, all served in black boxes (hence the name “Black Box Fix”). The restaurant’s name refers to the black, recycled, compostable boxes the food is served in. The restaurant also seats about 15 for customers who want to eat in. Black Box Fix was just voted Best New Business and Best New African American Owned Business in the 2015 Future Heights Best of the Heights Awards. The OMG Philly ($13) is a chicken philly sandwich with grilled chicken and jumbo shrimp with sautéed mushrooms, onions, peppers and melted Swiss cheese on a toasted brioche roll and drizzled with yum yum sauce. This sandwich is delicious. Every bite is well-seasoned and full of flavor. The cheese is nicely melted and holds it all together. The sandwich is served with a side of garlic-parmesan fries, which were good, but I was all about the sandwich. Try one as soon as you can. You won’t regret it. 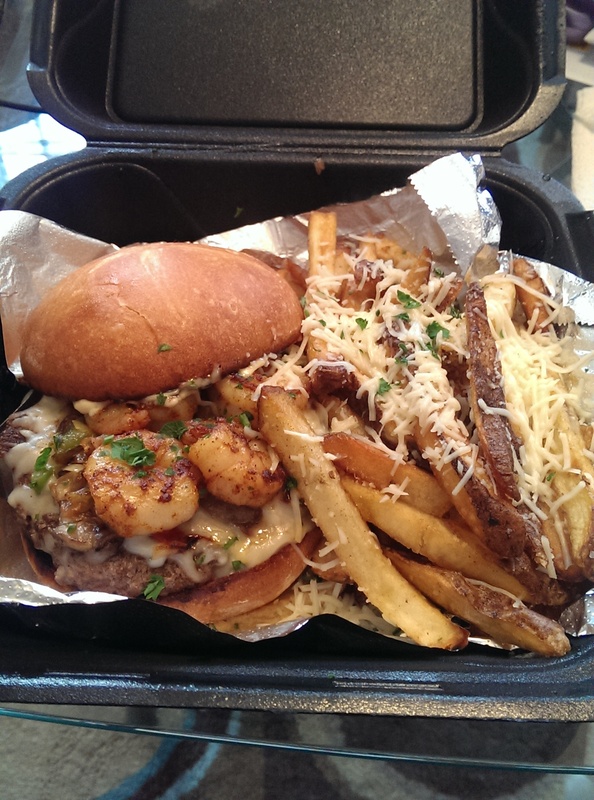 I also tried the Hibachi Burger ($13) several days later. 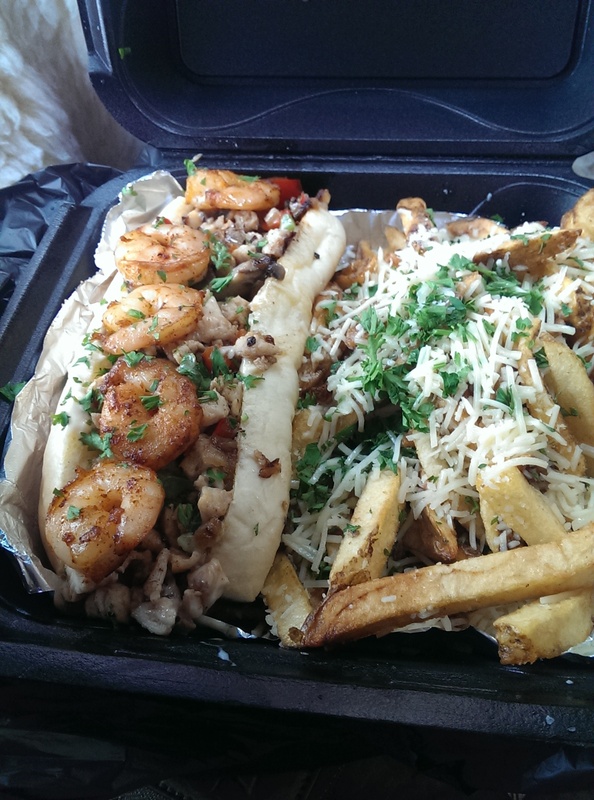 It features seasoned beef topped with mozzarella and provolone, sautéed mushrooms, onions and peppers and 4 jumbo hibachi grilled shrimp on a Kaiser roll with yum yum sauce. I ordered it medium and it had some pink but not as much as I expected. It was a delicious burger. Again, it came with a side of the garlic-parmesan fries. The shrimp were huge and succulent and every bite of the burger was soul-satisfying. Their Creole Soul Roll ($3) is so popular that it is only offered Thursday through Saturday. 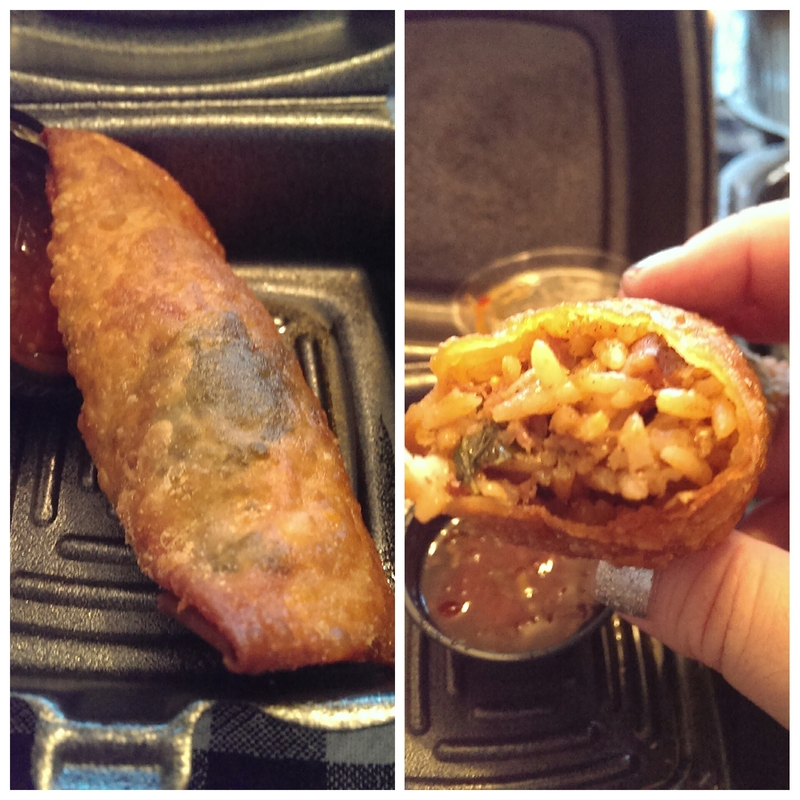 It is a deep-fried egg roll filled with smoked turkey, collard greens, andouille sausage, and jambalaya rice. It was really good. The rice was fluffy, and the “stuff ing” had a really good flavor to it. It comes with a dipping sauce that is reminiscent of a sweet chili sauce. I was less impressed by the Mr. Martin ($9), which features a fried chicken breast dipped in agave BBQ sauce and topped with sweet onion vinaigrette slaw. Despite arriving after the 15 minutes specified on the phone the sandwich and fries were a little soggy from condensation (and the bun from the BBQ sauce and slaw). If you are going to order it I would suggest eating it in the restaurant. I also didn’t love the BBQ sauce; it was sweeter than I expected and not zippy. Chef Rogers also believes in giving back to the community. I hear $1 from every Lee Road Hobo ($8.50 – the Black Box Fix version of Cleveland’s Polish Boy) is donated to the Ginn Academy Youth Support Program, which provides programs for inner-city children in Greater Cleveland. Paintings by local artists are exhibited on the restaurant’s walls. He’s happy to be in Cleveland Heights, and we’re happy to have him. 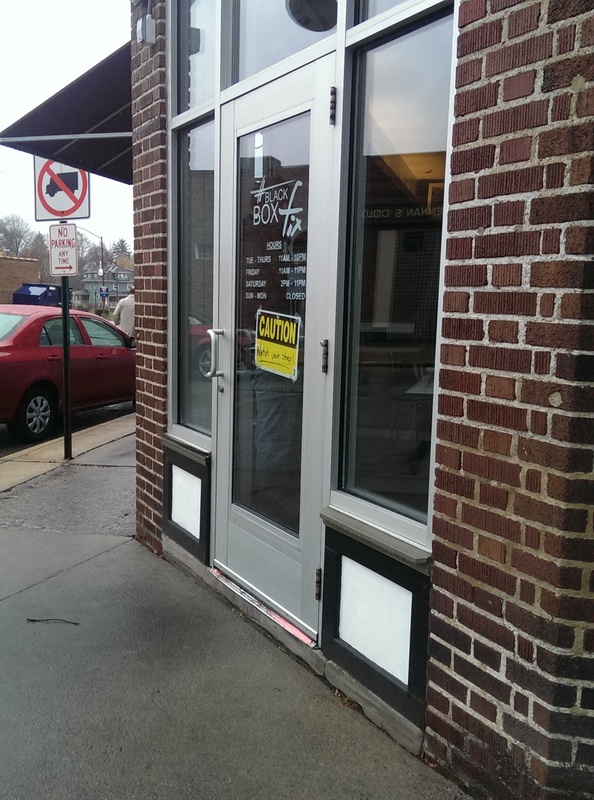 Since it is a locally owned, true “mom and pop” store, Black Box Fix is closed on Sundays and Mondays.